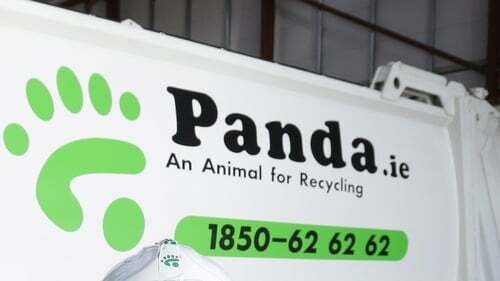 The General Manager of Panda Recycling has said charging for green bin collections will help Ireland continue to recycle. Des Crinion was speaking after the company announced it will bring in a €21 annual charge for consumers. He said this would break down as an 80 cent bin lift charge and a 4 cent per kilo charge for the bin contents. These charges to 250,000 households will be rolled out in Dublin initially. Mr Crinion told RTÉ's Today with Sean O'Rourke that Panda had been subsidising recycling charges for about a year. He assured customers that the company had thought long and hard about this measure and he said prices will not be increased over time. Mr Crinion said that China's ban on plastic imports had "completely crashed the market". He said that some countries have stopped recycling because they cannot afford to do it anymore. Earlier this month, the company announced it was entering the Irish residential gas market. It already provides electricity here. Meanwhile, the Chair of the Household Waste Collection Price Monitoring Group has said the decision by China to close its doors to plastic waste poses a challenge. Speaking on RTÉ's New at One, Frank Conway said it will be difficult to avoid green lift charges as a result of the decision. He said consumers will need to be educated surrounding waste disposal.